An easement is an agreement that allows one party to use the property or land of another party for the specific purpose stated in the easement itself. Electric power easements are agreements between a landowner and a utility company that allow the company to use part of the owner's land for activities and equipment related to providing electricity. However, the landowner does have some rights regarding the use of his land for easement activities, and he keeps ownership of the easement area on his property. An easement is created once the easement agreement is filed in the land records of the property's county. The agreement lists the current owner as the grantor, or giver, of the easement, with the power company shown as the recipient. An easement agreement includes a description of the property and the easement area, with the easement area being that part of the property affected by the agreement. The description might be words that describe the property's measurements or some other identifying reference, such as the recording information for the grantor's land deed, the property tax account number or the street address. A section of the easement states the terms of the agreement, including who is responsible for damage to the owner's property and what type of damage might occur because of the easement. The terms list what repairs the power company will do at its own expense if the easement activity is the cause, as well as maintenance that might have to be done because of the easement. These terms give the property owner the right to hold the power company liable for easement-associated damage or maintenance needs, such as replanting worn grass, that the company didn't address. A property owner can request that the power company keep accident insurance for the easement area, as the owner can be held liable by others for accidents arising from the easement or on the easement area. Some easements are only temporary, with an end date or qualifying event given on the agreement. A qualifying event is usually the completion of the power company's project. Other agreements are permanent and "run with the land." This means each property owner after the grantor is subject to the easement and all its terms. An easement agreement is decided on through discussions between the power company and the property owner. 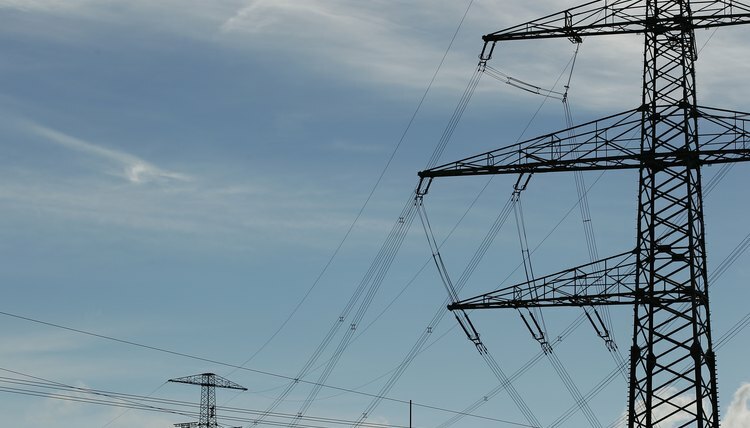 The power company typically compensates the owner for the privilege, and both parties negotiate the terms of the easement and the compensation amount until an agreement is reached. If the grantor or any subsequent owner wishes to end the easement, he can ask the power company to release the land from the agreement. An easement isn't always by agreement, despite the common name for the document. A utility company can take a property owner to court if he refuses to sign the agreement and the company can't avoid accessing his land to provide service. If the court finds the easement is necessary, the court may grant the easement to the power company by court order. While easements and rights-of-way are sometimes referred to as the same thing, a right- of-way is actually different. The easement refers to the power company's right to use the land, while a right-of-way refers to the land itself.